Entrepreneurs are Renaissance people. To succeed, they have to be interested in multiple fields and the intersections among them. They dive into disparate domains and dig for connections that will make our lives easier and more meaningful. A Paperboy’s Fable by Deep Patel. 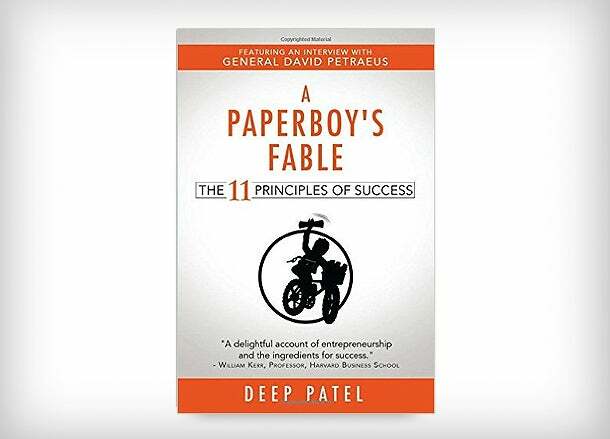 Seventeen-year-old Deep Patel interweaves 11 timeless principles of success as he chronicles a boy’s evolution from poor high schooler to savvy business owner. Far from presuming to know all the answers at his age, Patel sticks to what he does know: his father’s rise from paperboy to successful entrepreneur. A Paperboy’s Fable illustrates the seeds of great businesses so we can recognize and sow our own. The book also includes interviews with professors, entrepreneurs, CEOs and General David Petraeus -- a section I’ll read repeatedly. In these sections, some of the most admired people of our era relay the greatest lessons of entrepreneurship in clear-as-day English. They remind us that the best time to take risks is now and that we don’t need to invent a new app or snazzy technology to excel entrepreneurially. We can start in our very own neighborhoods. Patel’s fable is thus a refreshing departure from the statistics that flood today’s professional development books. He's less focused on indoctrinating his principles with bulleted evidence than he is on relaying examples of what’s worked, for our interpretation and use. Originals was, to my surprise, more about corporate creativity than individual innovation. Perhaps this focus stems from the fact that, as a professor at Wharton School, Adam Grant has consulting and research experience that spans Fortune 500 companies (Disney, Goldman Sachs, NFL) and not individual case studies. Grant’s work in both academia and corporate America aids the book’s brilliance. Two decades ago, social psychologist Mihaly Csikszentmihalyi published Creativity, which explored central tenants of creativity through interviews with 100 highly successful creative people. Now, Grant builds on these kinds of theories with convincing cross-sectional, longitudinal research on creativity in the workforce. 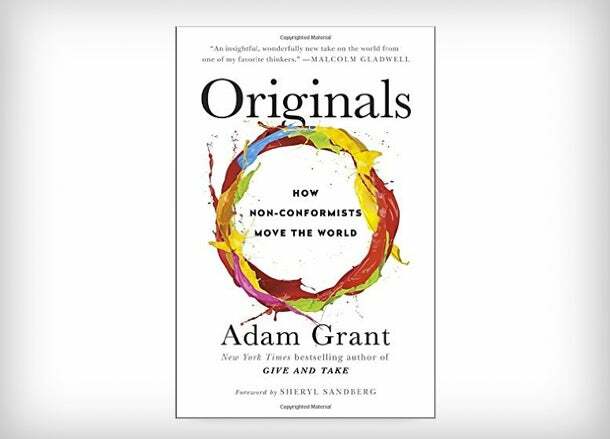 In Originals, Grant empirically explains why middle managers are less creative, what your Internet browser choice says about your work style and your chances for success, why familiarity sabotages new ideas, why optimism isn’t the best innovation strategy, why last born children tend to be more creative, and why "lone wolfing" kills creative production. He discusses the perks of procrastination, the limits of our intuition on idea generation, and the counterintuitive evidence that entrepreneurs don’t have higher risk tolerances. 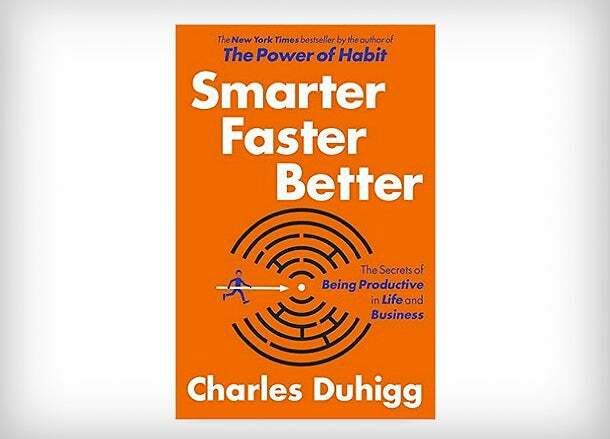 Smarter Faster Better by Charles Duhigg. Charles Duhigg is first and foremost a writer, a fact apparent from page 1. While many entrepreneurship books read like engineering manuals, Smarter Faster Better reflects the care and story-craft one might see in a feature in The Atlantic, National Geographic or the New York Times, where Duhigg has been an investigative reporter for the last decade. Duhigg conceptualizes productivity as much more than time management and tech tools. Productivity, he writes, “isn’t about working more or sweating harder. It’s not simply a product of spending longer hours at your desk or making bigger sacrifices.” More broadly, and more importantly, productivity hinges on making the right choices: where we put our attention; how we set goals; how we motivate ourselves; who we surround ourselves with; how we absorb information. Without these practices, we can have perfect calendars but unproductive and unfulfilling lives. 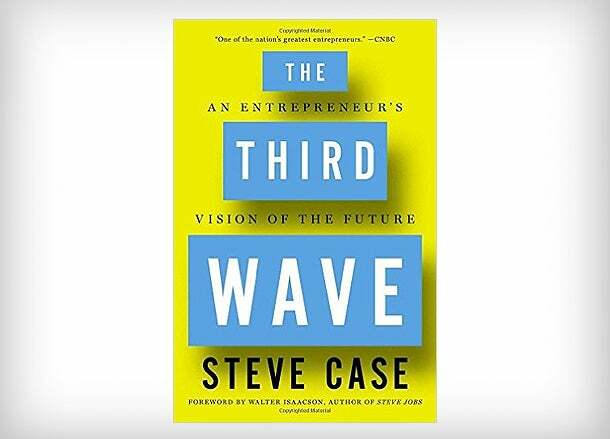 In The Third Wave, internet forefather and AOL co-founder Steve Case predicts the third phase of tech entrepreneurship. The first phase (which he calls a “wave” in homage to Alvin Toffler’s 1980 sci-fi book The Third Wave) was connecting the internet -- the technical logistics of making the Internet both possible and widely available. The second wave consisted of connecting the Internet to things -- digitizing physical products and services. And the third wave, Case predicts, will mean connecting the Internet to everything. In this aspect, the third wave will more closely resemble the first wave than the second. It will be a second digital revolution. Case believes that the third wave of tech entrepreneurship will require collaborations with mature industries -- such as healthcare, finance and foreign policy -- to navigate bureaucratic regulations and instigate systemic change. While the second wave had little barriers of entry and focused on making people’s lives easier, the third wave will be more complex, more institutionally oriented, and more societally meaningful. He also predicts that it will be decentralized, taking business away from Silicon Valley. For entrepreneurs to be successful, they must explore topics indirectly related to their business. Though reading may take you away from work at times, it is essential for creating a healthy balance between work and life.